ALEXANDRIA, VA—Governor Ralph Northam announced yesterday that Visit Alexandria received $50,000 from the Virginia Tourism Corporation Marketing Leverage Program grant fund. In total VTC awarded more than $625,000 for 33 tourism marketing projects across the state to help increase visitation and revenue for Virginia’s localities through tourism. The grants are designed to help local and regional tourism entities attract more visitors by leveraging local marketing dollars, and will ultimately impact at least 135 other statewide tourism entities. The local organizations match the state grant funds by a minimum of 2:1 in order to support marketing projects. This funding cycle, the local partners will match the VTC grant dollars with more than $2.1 million, providing more than $2.7 million in new marketing to increase visitation to Virginia. Visit Alexandria received a $50,000 grant for its Tall Ship Providence marketing program. Visit Alexandria partnered with the Tall Ship Providence Foundation and the City of Alexandria’s Office of Historic Alexandria to supply $138,700 in matching funds for the project. Alexandria will be launching a major new attraction in the summer of 2019 with the arrival of the Providence. The Providence is a full-scale replica of one of the U.S. Continental Navy’s first warships, built in 1768, which was captained by John Paul Jones, the father of the U.S. Navy, under the leadership of General George Washington. This revolutionary war vessel provides visitors with a first-hand living history experience with tours, weekly sails, chartered cruises, educational programs, and beer cruises presented in partnership with Alexandria’s Port City Brewing Company. Additionally, the replica ship has a pop culture tie, having appeared in the international blockbuster Pirates of the Caribbean. The grant seeks to capitalize on the ship&apos;s arrival, and proximity to a newly opened waterfront park at the foot of King Street to raise Alexandria’s national profile. “We are thrilled to be partnering with Visit Alexandria to tell the Providence story to a national audience and to highlight Alexandria’s rich maritime history in an exciting new way,” said Clair Sassin, executive director of the Tall Ship Providence Foundation. Tourism is an instant revenue generator for Virginia. In 2017, tourism generated $25 billion in revenue, supported nearly 232,000 jobs and provided $1.73 billion in state and local taxes. 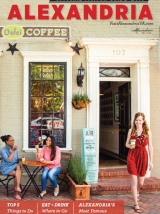 Dollars invested in tourism are proven to provide a 7:1 return in tax revenue for Virginia, and the grant awards and matching funds provide a stimulus to localities seeking to increase tourism visitation and revenue.